On the heels of International Women’s Day, I want to announce and launch an incredibly exciting writing contest. This contest is a three-way partnership between the groups @SteemSTEM, @TheWritersBlock and the @SteemSugars. We are looking for great non-fiction content to educate and inspire young women to take up STEM (Science, Technology, Engineering and Math) as a career or interest. The great thing about this contest is that you don't have to be a scientist to enter. 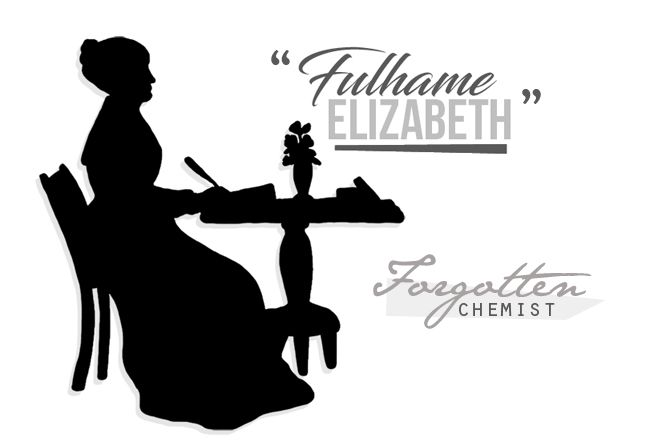 You just need to write about a woman in science that may have influenced or impacted you in some way. Perhaps you work in a field or have a hobby that had a strong woman scientist who made a significant advance or contribution in that field. As an amateur astronomer, you might think of Caroline Herschel or Maria Mitchell. 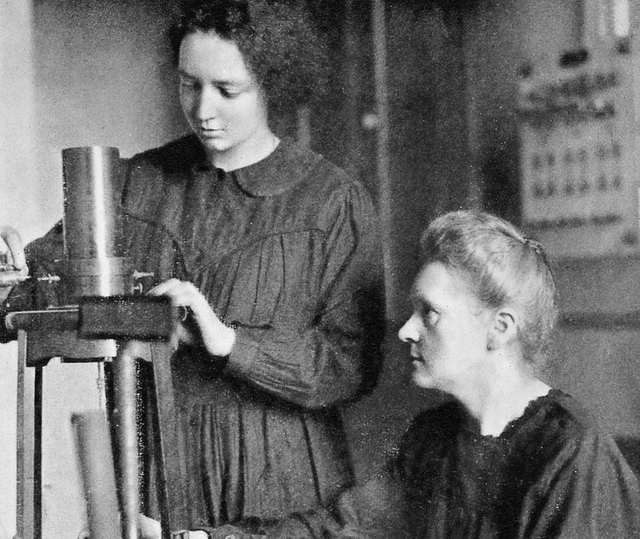 Maybe you're a fan of Marie Curie and Irène Curie-Joliot. The only mother-daughter pair to have ever won Nobel prizes. There are many, many women in science that should be household names that should roll off your tongue like Stephen Hawking, Neil deGrasse Tyson or Richard Dawkins. Do they have to be famous? Nope. That's the point. Write about anyone, any woman that is, that has influenced your interest in STEM. Keep in mind that we don't want to get 50 entries on Marie Curie. There are many women in science that had major impacts on each of their fields. Hopefully, you have someone in mind that is unique. Educate us, make us aware. We are looking to run several series for this contest. Each series will ask for authors to compose a non-fiction post on “Women in science.” There will be multiple contests, each from a specific historical period. By the end of the four “Women in Science” contests we are hoping that there will be a very large compendium and showcase of the accomplishments women have made to the scientific world and to STEM. What do you mean by a non-fiction piece? Glad you asked. We will be looking for a post that is factual and based on the scientist you are writing about. It needs to be annotated and properly cited. If you use images be sure they are properly attributed as well as quotes or content sources for materials. Obviously no plagiarism, that goes without saying. The Writers’ Block has a non-fiction writing workshop and would be thrilled if you would like to join, especially if you are looking to up your writing game. The Writers’ Block has several workshops and is a community of writers from all sorts of disciplines and located around the globe. Visit @TheWritersBlock discord server and let the fabulous greeters know you are in from the “Women in Science” contest. Hang around a bit and chat. Information: Inclusion of supporting material: Graphs, tables, equations, pictures, schematics, text structures, etc. Applicability: Correct era, scientific field, followed contest rules, no plagiarism, etc. What are the rules to enter the contest? Post Length must be between 500-1500 words. The post will be judged in English. Post a link to your entry in the comments below. Include the tag #womeninscience in your post tags. It’s not required but a resteem of the post would certainly be appreciated. We want to spread word of the contest far and wide. The Prize Pool - 50 SBD!!! For the first round I will be initializing the prize pool reward with 15 SBD. The wonderful women of Steem, the @SteemSugars, have added in 35 SBD just to kick it off. Hopefully the prize pool will grow by adding 20% of the post payout, so be sure to upvote. Prizes to be paid on the post earn out and at the conclusion of judging. Women in Science Contest Series #1 -- is now OPEN -- Write a non-fiction piece on a Woman in Science from the period prior to the 19th century. You have seven days to get your post completed and submitted to the comments. Contest will close noon (EDT) on the March 19th. #Steemsugars is a lovely community created by @meanmommy33, with the purpose of bringing more female presence onto Steemit and into Crypto. Anyone is welcome (especially if you share the sentiment), click the banner to join. Are you a writer or keen to learn? Do you wish to join a community of like-minded individuals who can help hone your writing skills in the fields of fiction, non-fiction, poetry, or songwriting? Would you like to join? Please come visit us at The Writers Block Discord, and join in on the conversations about writing. At @thewritersblock we focus on writing and use a peer-review process to help everyone grow in often unexpected ways. The SteemSTEM team has been working for over one year now to promote well written/informative Science Technology Engineering and Mathematics postings on Steemit. The project (@steemstem) seeks to build a community of science and technology lovers on Steemit and aid in nurturing the growth of blogs that will make Steem a go-to source for science/tech information, news, and just generally fascinating content. To learn more about the project please join us on discord. We are always looking for people who want to help in our quest to increase the quality of STEM (and health) posts on our rapidly growing platform! I am sure that there have been so many female scientists out there, it will be nice to dig up and educate ourselves about them. I will be resteeming for further visibility and I hope I can find the time to participate, it will be a pleasure researching and spreading the word! Thank You @jasonblu @steemsugars @thewritersblock @steemstem! That's great. I hope the contest gets a lot of visibility. Really appreciate your support. The are a ton of female scientists... Many are not well known but made significant progress in their fields. Great contest! I've shared it among the feminist-discord group, as I'm sure there will be people there eager to participate. Good luck to all the participants (myself included I hope) and judges. Now only to figure out what you mean exactly with 'science'... do humanities fall under that, or is it STEM-science only? This is such a great idea. We tend to forget the women who not only helped advance the sciences that we so easily take for granted, but who fought every day for the right to be treated as an equal in academic and scientific circles. Without them, science wouldn't be what it is now, and neither would women's rights. Here is my entry. A tribute to a new-found hero: Laura Bassi-Veratti. Excellent initiative you theme for a contest, well just put hands on paper and open mind for a wonderful result. Regards. It's not difficult to find outstanding women in science, the hard part is that they had recognition for their work. Therefore, I celebrate this iniciative as a tribute to all the women who made a difference. I will try to participate, but english is not my mother tongue. That's great @annycor. I wholeheartedly agree with you. I hope that you consider entering. Hello, very grateful for this contest, in this month of celebration of the international day of us women, which allows us to enter into scientific knowledge, but beyond that, in knowing who are the most prominent scientists in the exact sciences. I am particularly interested in working with Latina women scientists, with an emphasis on Venezuelan women scientists, those who demonstrate beauty, intelligence and responsibility in their actions. It was very difficult for me to do this, but I tried, because we are still looking for equity, the fight is not over for that reason, thanks again for the contest. First of all, I would like to thank @jasonbu for this magnificent competition, which allows us to investigate history and learn that throughout the history of humanity there have been pioneering women in the field of science, who although they were not duly recognized at the time, nevertheless left a very important legacy. May this humble contribution serve to pay them a well-deserved tribute. Hello my dear friend @jasonbu, for me this contest was very interesting, we always used to listen to the names of men for their contributions to science, however women also played an important role in the history of science, thanks for giving us the opportunity to learn about this topic. Excellent initiative! I congratulate them, because many women have excelled in the field of science, but the merits are given to men. Thank you very much for this contest. I did manage to prepare my contest post! It took me a good 2 days, it is approximately 1400 words and I hope that you (most of all) enjoy reading it. I found Emilie to be a very courageous, bright, brave lady of her time and learning about her can teach us a lot. 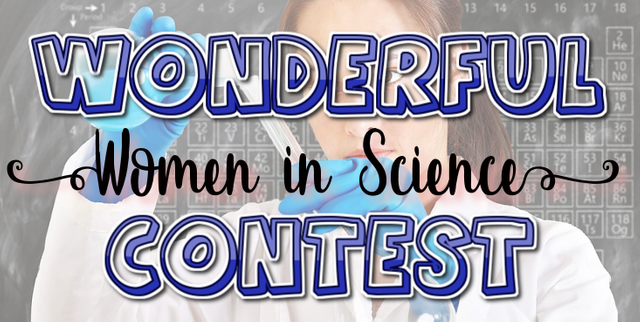 All right we have all the entries in for this round of the Women in Science Series Contest 1 - Pre 19th Century. Stay tuned for a post on the judging. We will take a few days to run through the entries. I separate post will be made to announce the winner! Thank you ALL very much for the comments and entries.